TUBE TOP ATVThis versatile trailer makes for easy loading and unloading of multiple ATV’s or other equipment. 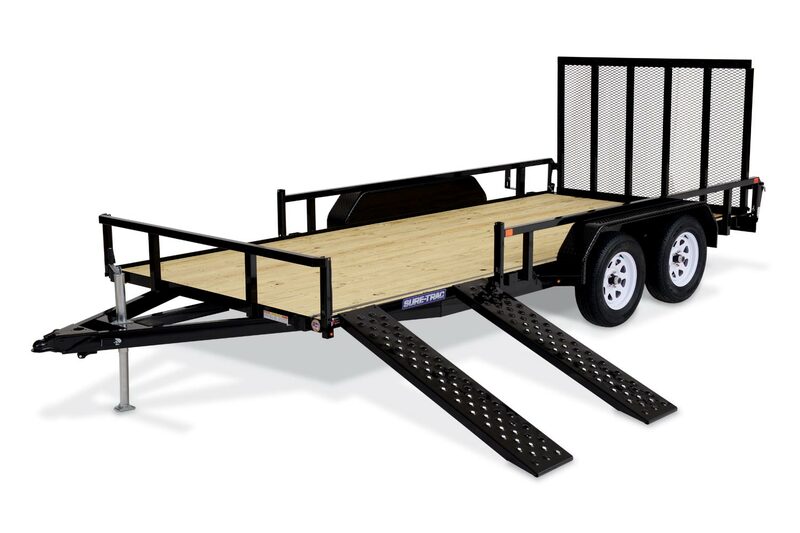 Sure-Trac Tube Top ATV trailers are equipped with heavy-duty spring-assist ramp gates for rear loading as well as side-storing fabricated ramps, which allow side loading for additional equipment. A few performance-enhanced features include square tube top rail and side rails, sealed LED lights, protected wiring, and setback jack.